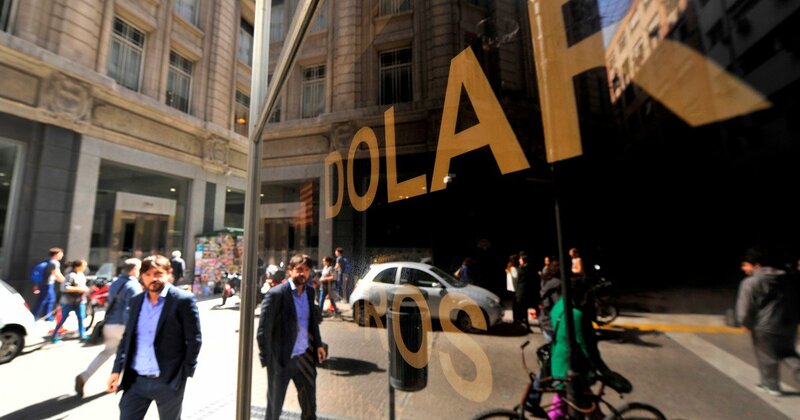 After rising on Tuesday, the dollar fell today by 80 cents to 42.60 on the Banco Nación. After the average of the central bank, it closed at 43.38 USD. Reduction occurs following the decision of the central bank to maintain the frozen non-interference belt between $ 39.77 and $ 51.47 by the end of the year and amid the general revaluation of the currencies of emerging markets. On the wholesale market where banks and businesses operate, the currency returns 46 cents to $ 41.87. The dollar is also falling in Chile and Colombia. On the other hand, it is increasing in Brazil. In order to limit the pressure on the dollar, after the middle of March, when 4.7% inflation was known, the Central decided – with the approval of the Monetary Fund – to use the retouch for the foreign currency scheme and to be determined by the end of the year. the current level of the ceilings and floors of the exchange bands (or areas without interventions). Without this change, by the end of the year, the upper limit of the band would be $ 59.6 and the lowest would be $ 46. The announcement was in some ways a response to the claims of several economists who warned of excessive amplitude of the exchange rate band that left room for a strong exchange rate movement without BCRA being able to do anything. On the other hand, country risk is rising again, by 2%, to 817 percentage points. This means that Argentine bonds are declining and that the state costs more to become indebted to the United States Treasury, which is the safest.